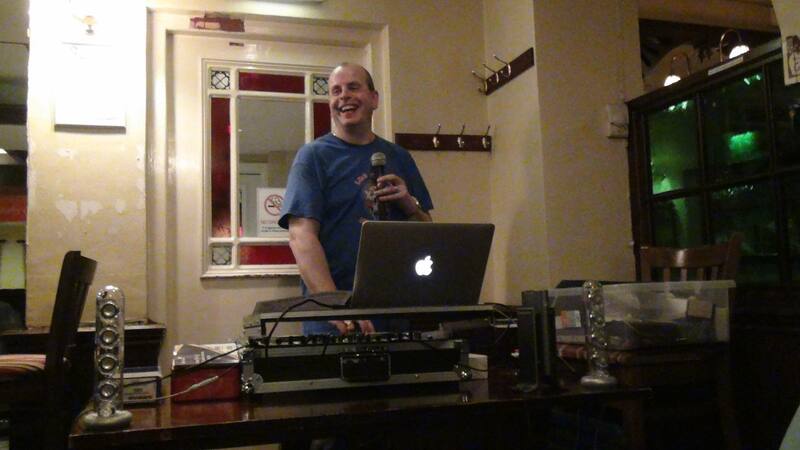 The Human Jukebox Music Quiz is currently the only weekly music quiz in the New Forest. Each music quiz is tailored to the age and music knowledge of its punters. The format remains the same for each quiz so teams become familiar with the questions, but the music changes each week. And we don’t just ask music general knowledge questions or play ‘Beat The Intro’ all night. The fourteen varied rounds include questions on years, lyrics, chart positions and many other subjects. And every week we challenge the teams to identify the one note, the backwards tune and we also revisit the heady days of the Radio One Roadshow and play an authentic round of ‘Bits & Pieces‘. Most weeks there is a theme to the quiz (with a clue posted on Facebook). It could be based on a genre of music, a decade, an event happening in the news at that time or a calendar date such as Christmas, Halloween and even a not so successful football tournament! 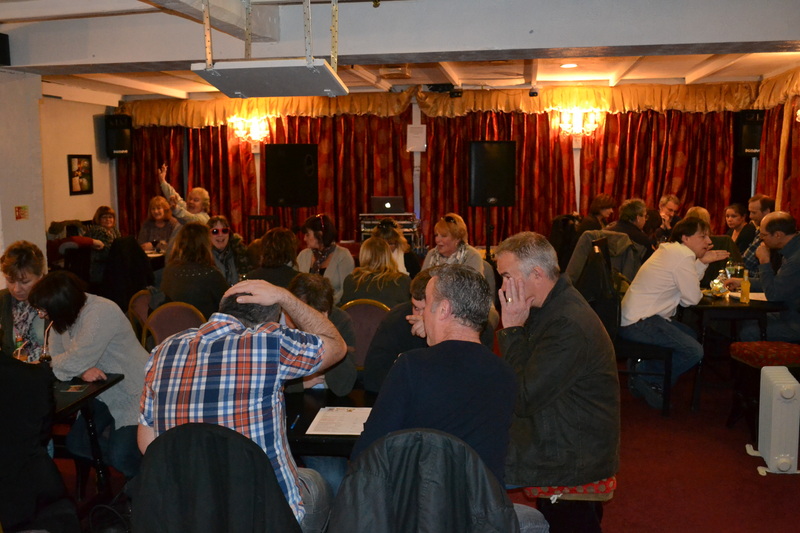 The music quiz costs £2 per person to enter with a maximum of six players per team. Prizes vary from venue to venue, but invariably there will be cash prizes or vouchers to spend. There is also a rollover question which in the past has climbed to well over £100! But if you are a big fan of music and don’t want to enter the music quiz, why not come along and choose a song or two from the 70,000 tracks available each night. And if it’s your birthday, let me know your favourite 3 songs and they will be played during the evening. Although the music quiz is a challenge (and every quiz should be), its an informal evening with a very friendly atmosphere and has some very loyal followers of 20 years who I am eternally grateful to and I am proud to call my friends. I would like to take this opportunity to thank the following for their loyal support over the years. In no particular order: Jacqui & Dom, Alan & Vi, Paul, Roy & Leigh, Same Old Faces (Paul, Greg, Dave, Kim & Kev, Simon, Stew & Alaya), Jo, Shaun, Adam, Ian, Claire, Mark, Dave, Leanne, The Fozzies (Katie, Chris), Belinda & Ray, Marion, Bob, Toni & Phil, Jeni & Aart, Alison, Sharon, Sharon, Min & Rob, Tina, Brian, Tom, Richard & Jo, Quizzer Sisters (Jo, Steve, Howard & Stu), Ken, Suzi & Alan, Nita, Ceema & Calvin, Chunky Monkeys, Pauline & Steve, Bob, Eddie, Keith, Martin, Graham, Peter & Simon, Jenny & Colin, The Dragons, Jane, Neil & Bob, Burnt Out Bikes, Pink Ladies, Rachel, Julie & Graham, Claire, Debby, Geoff, Yabs & Kate, Anne & Steve Webster, Mike & Richard, Lisa & Mark, Derek & Ben. I would also like to thank Mickey Spectrum for the original format and inspiration for the quiz.